After the birth of our first child, we converted our former guest bedroom into a nursery. We took the opportunity to play with an eclectic mix of furniture and materials. 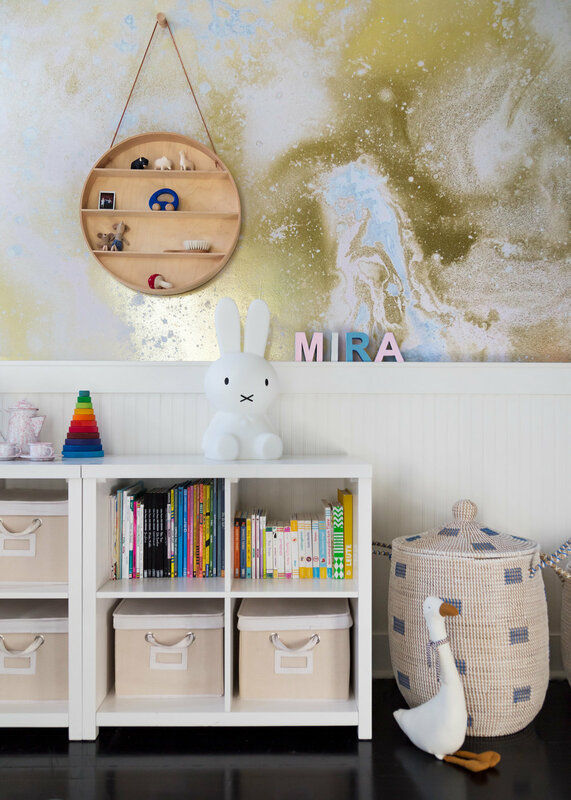 To balance out the dramatic black painted floors, we selected a warm celestial wallpaper by Calico x BCXY. 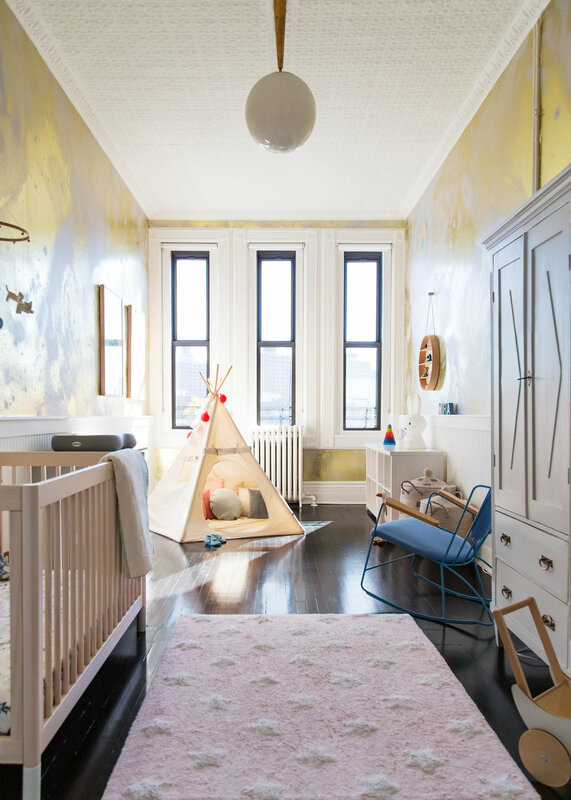 Antique Gustavian furniture and a contemporary crib coordinate with pale pink rugs, canvas teepee, and a reissued chair from mid century designer Earnest Race. To personalize the space, Keren hand printed two playful collages. 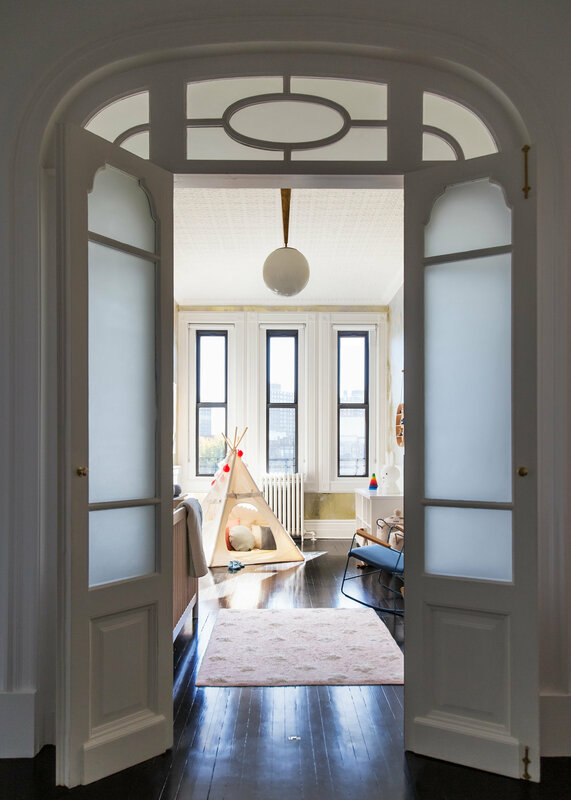 When it comes to nurseries, we like to design streamlined storage solutions to corral the toys, as well as to create a calming and playful environment that is as pleasant for the adults as it is for the children who live there. 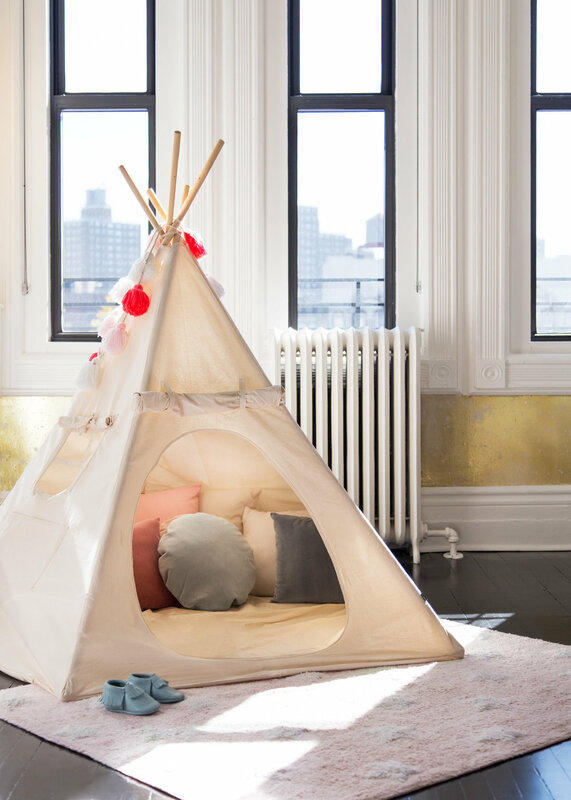 We love spending time in our daughters room and we hope she grows up loving this special environment. This project was featured on Domino.